Now retired Doheny Supervising Ranger Jim Serpa patrolled the beach and campgrounds, and protected the wildlife (both on land, in the air, and in the sea) for 22 years. 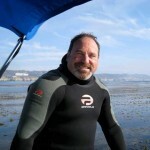 During that time, he wrote a number of articles for South Swell (our DSBIA e-magazine) and other publications. The tenor and tone of the articles are like having a great chat with the Park Ranger, or listening to a fun and informative campfire program. Here are many of his best pieces, both entertaining and educational.